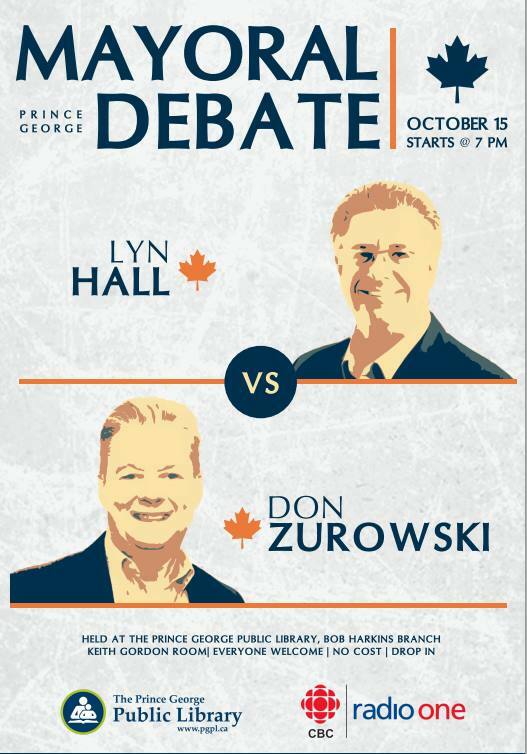 Last Wednesday night the two candidates running for mayor went head to head in a debate hosted by CBC Prince George. It was impressively attended by at least 200 people all wanting to get a glimpse of the two running for mayor and what they had to offer our great city. After attending that debate and listening to them both I could see that it was going to be hard for me to decide who I am voting for. I have added a poll to see where the citizens of Prince George stand on who should be mayor. I did this in 2011 and Dan Rogers came out on top and we all know who won the mayoral race that time, so take this poll with a grain of salt. I would like to Thank Gregg Kauk for submitting a response to PGELXN. To read his submission head over to his page on this site under council candidates.